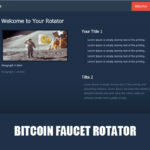 It is a free bitcoin faucet script, no hidden charges and it is a open source script that can be use and download for free. When the files are open source it means you can look at the script and no files are lock. Bitcoin faucet coinbox script’s author is tungaghd the same owner and administrator of coinbux.club. It is thanks to him that this wonderful script can be use by faucet owners. This script is very light and it opens in browsers very fast. You can give visitors additional rewards if they click a link. In which faucet owners in return earn from their affiliate link in a certain shortening link sites. There are three templates to choose from, and changing templates is very easy you only need to enter 1, 2, or 3.in the folder libs/config.php. It also support multi-coin faucets. You can make a bitcoin cash, litecoin, dogecoin, dash, peercoin, primecoin, ethereum, bitcore and blackcoin faucets. 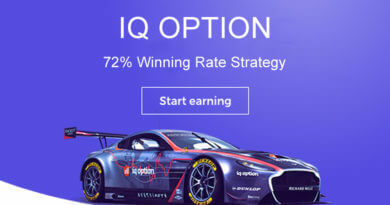 The last 10 latest payouts are shown at the button to make visitors at ease that your faucet is paying. The best thing about this faucet script is that it is responsive. Visitors can claim bitcoin using their tablets and phone as well. 1. You need a domain name for your faucet and you can get it at namecheap. For only $0.48 you can have a domain name for one year. After a year you have to re-new your domain name. 2. You will need a hosting website for your domain name. You can apply in x10hosting or namecheap or hostgator. If you want to avail 60% discount, you can have it in hostgator. We just applied to be an affiliate and luckily we pass. So if you choose hostgator and use our link here to go to their site the price is 60% cheaper. If you don’t use our link to buy hosting you wont get the 60% off. 3. Download the script using the download button below. After downloading the file, upload it to your hosting by logging into your account and go to your cpanel. Click the file manager located at the top left corner of your cpanel. 4. Click your domain name and click upload. Browse your computer and select the bitcoin faucet coinbox faucet file script. Right click the file and click extract, then another tab will appear click extract again. After the extraction finish you can now see a new folder with the same name as your zip file. You can now delete the zip file becaue you don’t need it anymore. 5. Open the folder and select all the files so it will be move to the root of your domain name. Select the files by pressing CTRL + Click the right click and select move. A tab will appear, delete the path and only place your domain name. If your domain name is test.com the you should only type /test.com. 6. Go to your cpanel and create a database. You will need a database for the configuration. Click the MySQL Database wizard. Enter a the databse name, database user and database password. 7. Go to file manager and delete the two zip files. You will not going to use them anymore because you already have the files. 8. Open the libs folder and right click on the config.php file. Change the databe name, database user and database password from the one that you created. Then click save. 9. Open your browser and go to your domain name and type creat.php. If your domain name is test then you should type http://test.com/creat.php and then press enter. After pressing the enter delete the file creat.php in your file manager. 10. Now you can open your site if you type the url again in your browser. To pay visitors that is using and claiming in your faucet, you need an API key to your faucethub account. 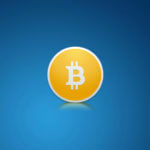 To apply for a publisher account click Here to earn bitcoin using bitcoin ad networks.